The Bible tells us that children are a heritage of the Lord and happy is the man whose quiver is full of them (Psalm 127:3-5). As it turned out, my quiver would only hold four – Brandon, Nathan, Alan and Allison, my one and only little girl. There is something that transpired between she and I a few years ago that I want to share with you. I was in a situation where I was desperate to hear something from God about a situation. Looking at all of the circumstances of the situation had caused me to be overcome with despair and feeling defeated. I had considered what needed to happen in order that I might overcome this situation, and based on the circumstances, I concluded that it would be impossible. But in the midst of all of this, I awoke one morning with a sense of hope. 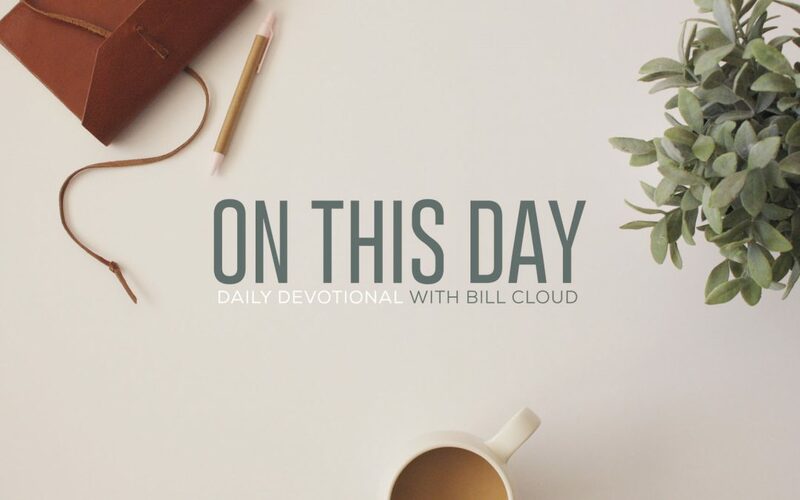 At breakfast, Allison came in and began talking about a story from her Bible class that very morning – a story that we all know from a young age – the story of David and Goliath. After she had explained the story to me, she quizzed me about how a rock could sink its way into Goliath’s forehead, as the Bible describes, seeing that it was thrown by a boy armed only with a sling. She was very concerned as to how the impossible could have actually happened. And then with her childlike innocence she said, “But with God, I guess all things are possible.” We both agreed that, yes, with God all things are possible. Because of what God had already done in David’s life, it gave him the confidence that God would deliver him from even more difficult and dangerous situation. And so it should be for you and me; even though we may find ourselves in the midst of a battle, armed only with a sling and a stone, we must take courage in the fact that He has delivered us before and will do so again. But we must also possess the kind of childlike faith that David (and Allison) possessed – knowing that with God, nothing is impossible. Let us always remember, there is no such thing as an impossible situation with God.